Hello! 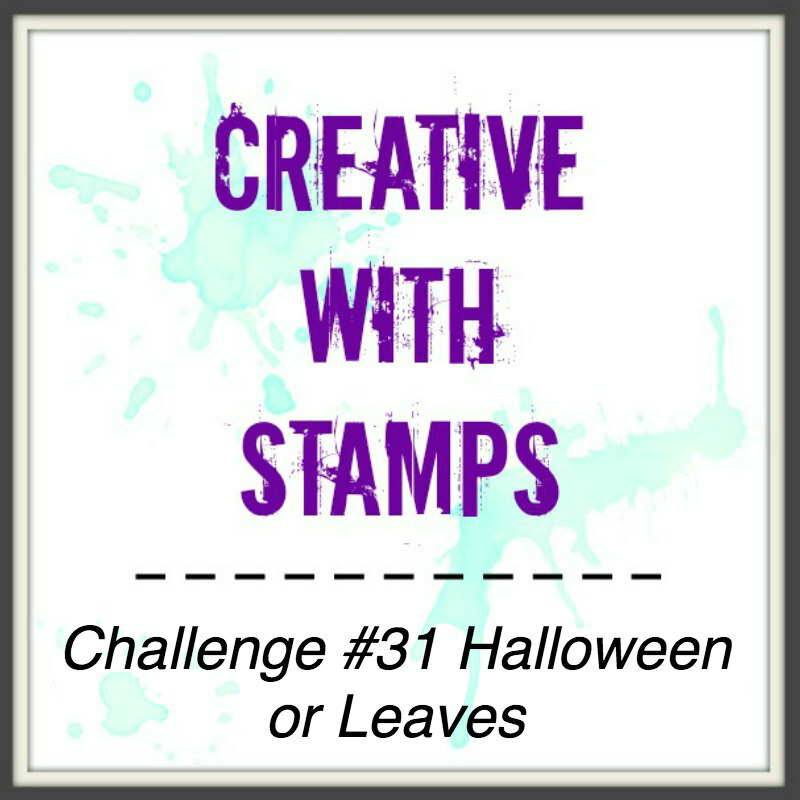 Today I'm sharing my Design Team card for Creative with Stamps #31 Halloween or Leaves. 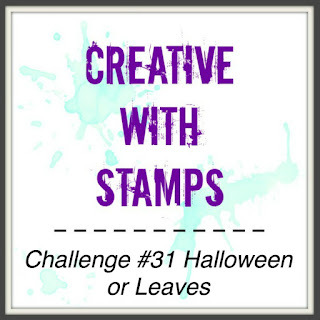 Our sponser for this challenge is Patti's Creations Digital Stamps. 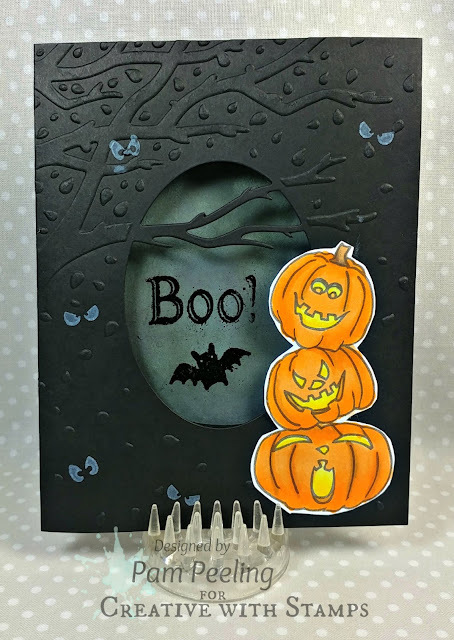 I used Patti's Creations "Three Pumpkins" for my card. I colored in the image with copic markers and fussy cut it. The base of the card was made with an embossing folder with a cutting die right in it! I think I picked it up at Hobby Lobby. I made the moon inside the card with Distress Oxide Fossilized Amber and white gelato through a circle mask. 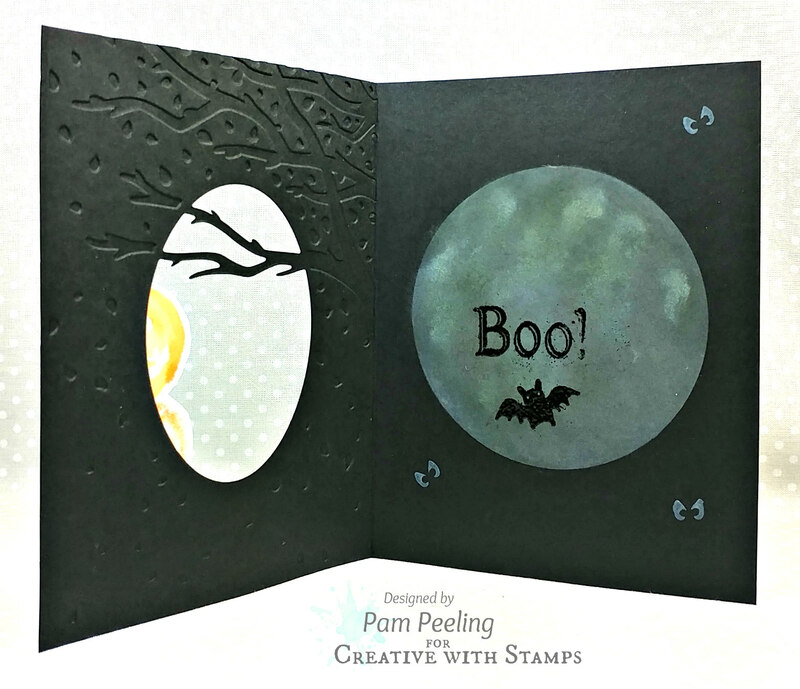 Then I stamped and used black embossing powder with stamps from my stash. The little eyes are stamped with white pigment ink. Don't forget to link up your own Halloween or Leaves card at Creative with Stamps! This is a wonderful Halloween card, Pam. I love that embossing folder and the fact that it has a die in it is fantastic. You used it so well. Love that pumpkin trio, and the way you created the moon. The detail of the eyes is a great finish! I HAVE to have that embossing folder! Thank you for joining us at Just for Fun stamps. ♥ the spooky eyes in the trees! I'm so glad you joined us this month at JFF Stamps! Happy Halloween! Such a fun and spooky card! Thank you for joining our challenge over at Cupcake Inspirations. Have a great weekend! Love your design! Thanks for sharing with us at Cupcake Inspirations! Super cute Halloween card. I love how you cut around the embossed branch and added the eyes. Thank you for sharing with the Just For Fun October Challenge.